Northern Ireland will soon host the Women’s Rugby World Cup 2017 from 22nd to 26th August. To celebrate, Discover NI are giving you the chance to win tickets to the Finals Day - plus a grand prize of a VIP family break in Belfast. Four families will win tickets each day this week to the WRWC Finals Day on 26 August. Tune into Stephen Clements and Cate Conway on Q Radio all this week for your chance to win! 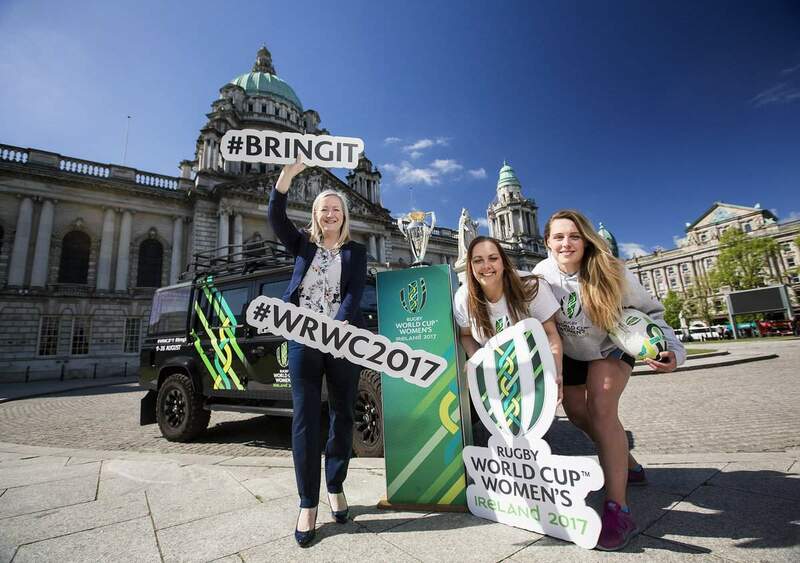 The Women's Rugby World Cup 2017 promises to be a highlight of the sporting calendar in Northern Ireland this year. Local rugby fans who want to get behind our players or experience the excitement of such a prestigious global event should get tickets as soon as possible for the semi-finals and finals in Belfast. Tickets give you access to an entire day’s play – three matches. Prices start from just £7 for children, £12 for adults and £36 for families. Visitors should plan their journey in advance and make the most of a short break in Northern Ireland. Belfast has fantastic attractions, outdoor activities and places to eat and drink to suit everyone, from passionate rugby fans to families looking for a low-cost short break.